Based in Masham, The Black Sheep Brewery is an ideal venue for all the family. 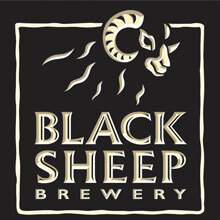 The Black Sheep Brewery beer made its first appearance in pubs in and around the Yorkshire Dales in October 1992. Their visitors centre set in the heart of the Yorkshire Dales National park is open to the public. Visitors can pre-book the guided tours of the brewery and learn how they brew their famous ales. They can also enjoy a taste of Yorkshire hospitality at the Black Sheep Bar and Bistro, visit the Black Sheep Shop and enjoy join the "shepherded" brewery tours. You can also visit their website here to check out opening times and how to book.